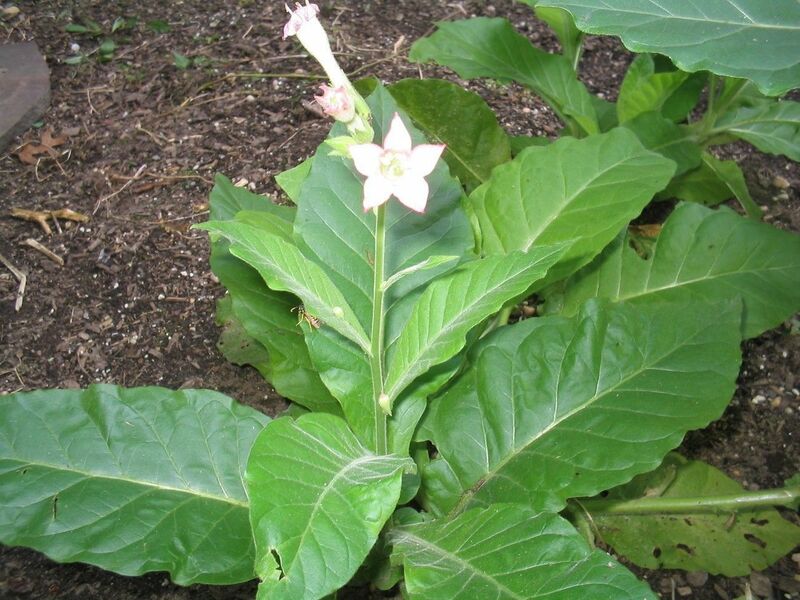 Nicotiana tabacum is a sticky, thick-leaved perennial that can reach up to six feet in height. Hardy to Zone 8, this is the preferred species of the tobacco industry. Its sweet-scented, highly ornamental flowers are white to pink and are pollinated by bees and butterflies. 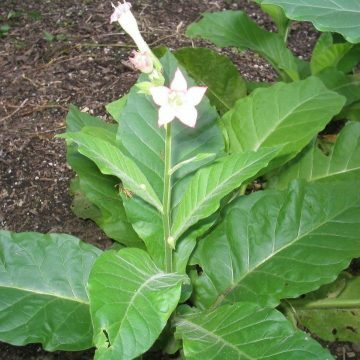 Tobacco juice may used as a pesticide, although nicotiana rustica, which is the highest in nicotine, is normally preferred for that purpose. Despite its recreational popularity, tobacco was traditionally considered a medicine. 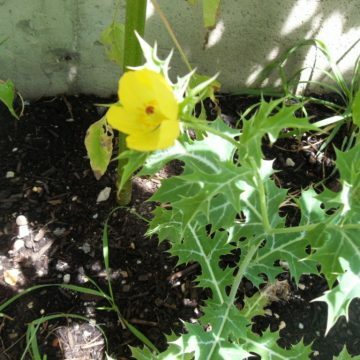 For medicinal purposes, though, it was often used externally and absorbed through the skin. 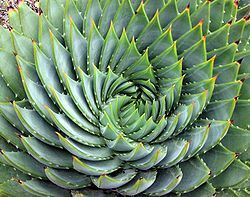 For example, it was applied to the skin to relive pain, such as would accompany insect bites and stings. KY 907 is a standard burley tobacco. 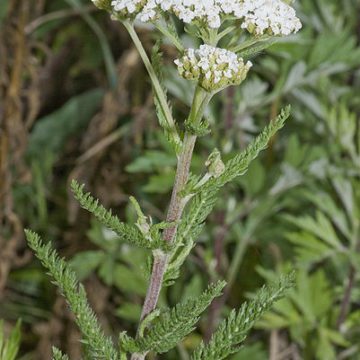 It can potentially be a high yielder and has a high resistance to Tobacco Mosaic Virus and several other diseases.